Nowadays, there are so many companies that offer a wide avenue of investment options that can all of us make our money grow. I, myself, have been attending financial literacy workshops that make me realize that now is the time to invest. I have gone from abundant to lacking to flat broke. Rewarding myself became the sole agenda when I was still single earning more than I needed. So now, I have discovered that BPI also offers a fun yet immersive game that will make you understand the risks and rewards of investing. 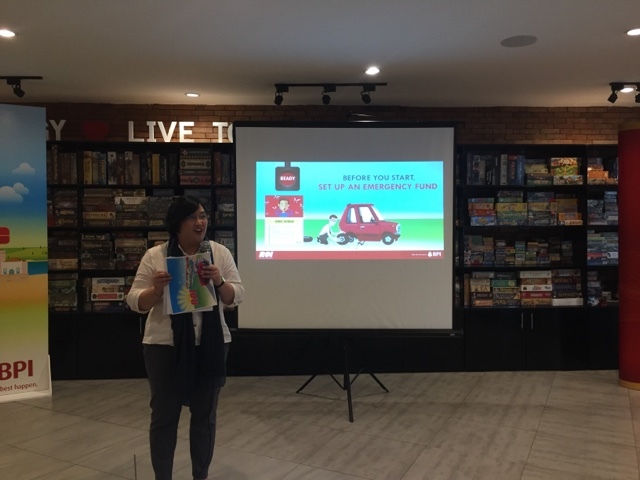 I was invited to attend an intimate bloggers meet-up where the BPI Investments Team introduced a board game that will make understanding the world of investment much easier. 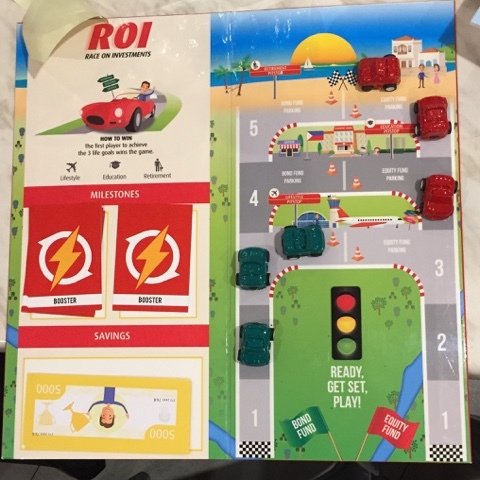 They call it ROI - Race on Investments Board game. Ready - The game aims to teach players on how investing can help them achieve their life goals. It simulates the investing environment of how risk, reward and investment horizon come into play. The game needs 4-6 group of players, a race master from the group will facilitate the movements of the investment fund cars, a track marshal, a player whose map has a key will be assigned as the track marshal and the finish line where the first player to achieve the 3 life goals (retirement, education and lifestyle) wins the game. The world of investment might seem like an overwhelming topic, reserved only for the wealthy, or for those with the knack for numbers. However, investing is for everyone, and can be suited to one’s condition and enthusiasm. It can be, in fact, fun and easy, you just need someone to guide and help you. 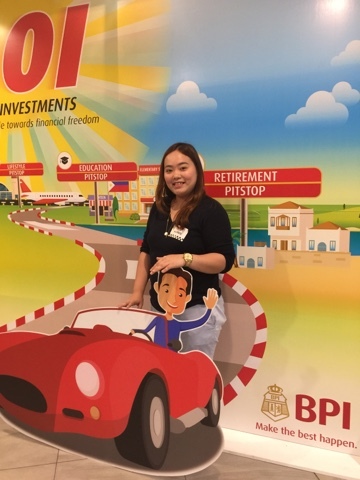 “BPI endeavors to be an enabler for every Filipino would-be investor, by providing financial advice making investment easy and accessible to anyone,” Remarie Suzette Ablan-Ayson, Vice President and Department Head of Wealth Management at BPI Asset Management and Trust Group said. Identify your short-term, medium-term and long-term life goals. Conduct a financial health check. Like taking care of your physical well-being, it is a good habit to check your financial health as well. This means sorting out your available funds according to emergency funds, current income, and investible funds. One must see the value that investment funds can supply your income and eventually aid you in your financial goals and needs. Learn about investments—and have fun. One of the ways to refine your goals is to gain more knowledge and know-how on investment, which can be aided by consulting with an investment counselor. “An investment counselor can help you further tailor-fit your investments according to your profile and be updated on what’s new in the finance and banking industry,” Ayson advises. 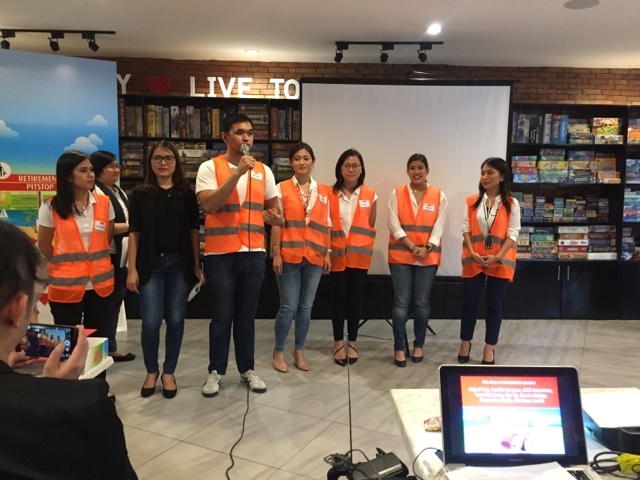 One of the ways for any individual to have access to investment counselors is through BPI Asset Management’s Financial Wellness seminars, where the importance of investing is explained through interactive ways. Through the years, BPI Asset Management has continuously come up with innovative ways to educate non-investors on the basics of investing and how it can help them achieve their goals. 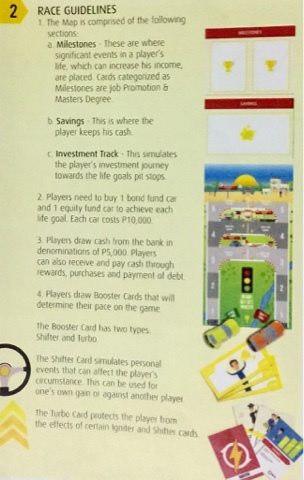 Recently, BPI introduced the Race on Investments (ROI) board game, a first in the banking industry. “We recognize that every Filipino is unique and has a distinct manner of learning. Thus, we have innovated once again and created a new tool in educating clients through the Race on Investments board game,” Ayson said. 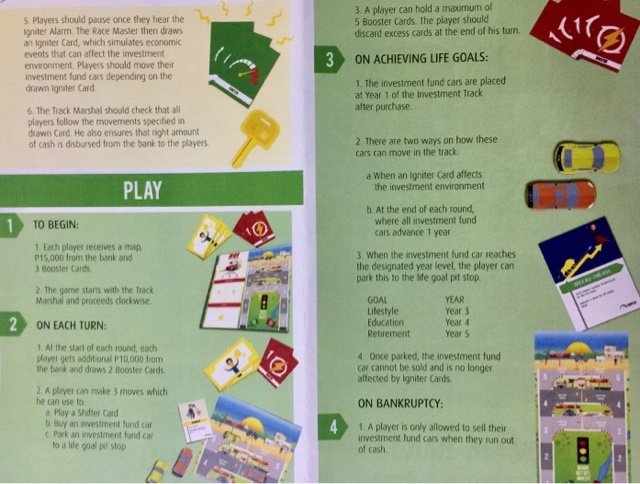 “Through the board game, we take the discussion on investments beyond pure concepts and allow individuals to see for themselves how investments can work in real life, within the context of a game,” Ayson added. Know the qualities of a good investment. Determine the investment that is right for you. Now after knowing what investment is better for your personality, how do you know exactly what is a good investment? Here are some characteristics of a good investment. One, it can beat inflation. Prices naturally increase over time. In fact, over a three-year period, prices can go up by almost 3%. “Unfortunately, we don’t live in a world where all things are equal, as economists have always dreamed of. A good investment can beat inflation by increasing not decreasing your money’s worth over time,” Ayson explains. Second, risk is compensated with reward. “This depends how you assess yourself, if you are averse to risks or comfortable with it,” Ayson points out. BPI has three types of funds to cater to each profile as well as your goals. For example, the BPI Short-Term Fund is classified as a short-term, low risk, and low reward type of fund. It is invested mostly in time deposit and term deposit facility of the Bangko Sentral ng Pilipinas. Meanwhile, if you are looking to achieve financial goals in three years, the Odyssey Medium Term Bond Fund is a good choice. The fund is invested mostly in Philippine government and corporate bonds. Lastly, the BPI Philippine Equity Index Fund is a long-term, high risk, and high reward type of fund. Addressing your retirement and long-term needs, this type of fund has a larger yield compared to other funds because it is invested in shares issued by Philippine companies in the Philippine Stocks Exchange Index (PSEi). Third, it can help you achieve your life goals according to your plan. “To get your money’s worth, the key is to know how these types of investments work and more importantly, how these can work for you,” Ayson says. Knowing the type of investments is one thing, but putting your actual hard-earned money into them is another matter. The key to getting the most out of your investment is diversification into the three types of funds. “You may have a preferred fund based on your risk profile but it is ideal that you place sufficient amounts in each type. This will give you the largest returns, as much as 5% in five years for a P100,000 initial investment—much higher compared to just parking it in your savings account or putting everything in one entire fund,” Ayson explains. The world of investment might be intimidating at first, but we can all learn that this is not entirely true. Through learning your different investment options, you wouldn’t have to depend on a single source of income for when you want to travel, buy a car, or save for retirement. With proper guidance and advisory, investing can help you achieve your life aspirations, thus making the best happen. Moms and Dads alike, we all should look ahead for our kids. The way we invest our hard-earned money can either make or break their future. That is why we all have the option to shop around for an investment that will make our money grow. At 165 years, Bank of the Philippine Islands is the first bank established in the Philippines and in Southeast Asia. 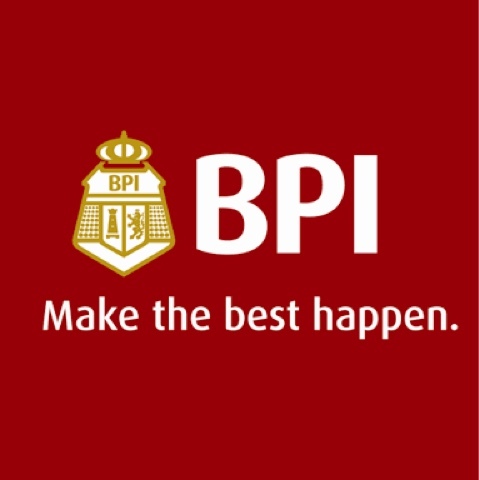 BPI is licensed as a universal bank by the Bangko Sentral to provide a diverse range of financial services: deposit taking and cash management, payments, lending and leasing, asset management, bancassurance, investment banking, securities brokerage, foreign exchange, and capital markets. BPI has significant financial strength, with robust Tier 1 capital adequacy ratios and profitability, underpinned by a stringent compliance and risk management regimes. BPI is rated investment-grade by the international ratings agencies.